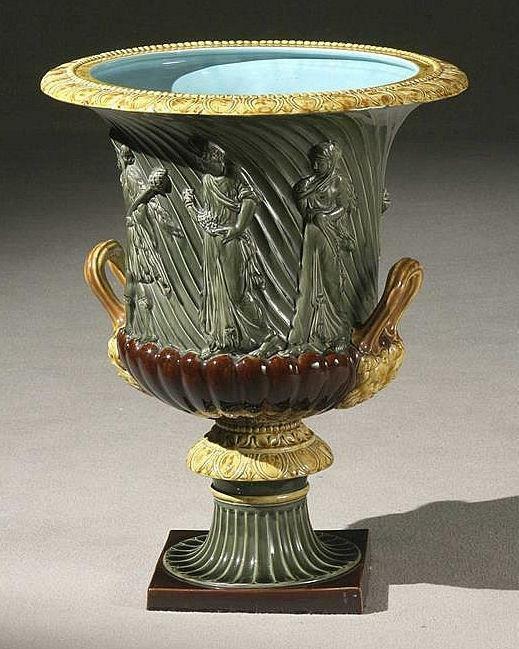 This tremendous antique, polychrome glazed urn in the Roman neoclassical style comes from the Faiencerie de Sarreguemines, France, circa 1900. It measures 31.5 in (80 cm) and 25 in (63 cm) wide, and carries the "Sarreguemines" impressed mark with number "1076" on underside. Condition is very good. There are a couple chips to the rim, more noticeable on underside, one mark with noticeable glaze loss on the gadrooned section, and several small chip losses at the foot of the base. The rim is slightly uneven as can be noticed in one of our photographs, and which was an accepted imperfection common to large faience pieces of the period. 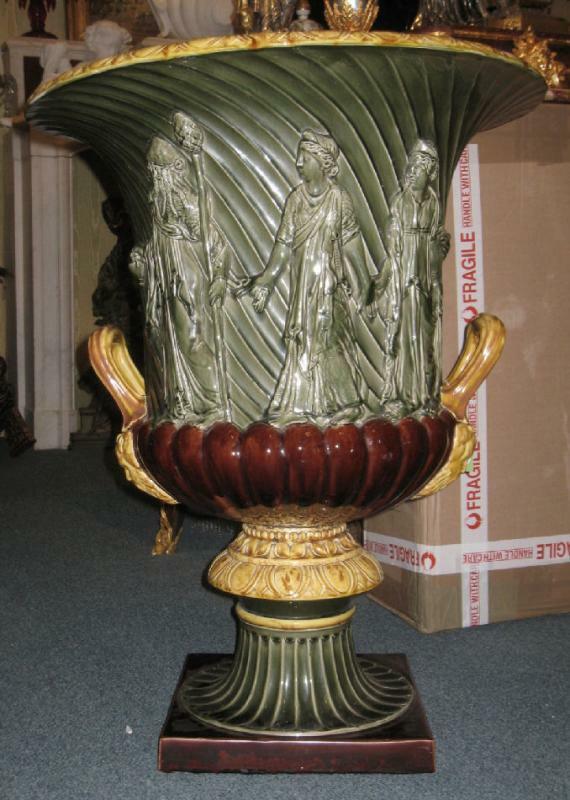 Established in 1784 in the town of the same name on the present-day German border, the firm originally made earthenware and in the nineteenth century produced stoneware and later porcelain, and operated under the trade names Fabry and Utzschneider (Joseph Fabry and Paul Utzschneider), and later Utzschneider et Cie (U&C). The firm enjoyed great success during the reign of Napoleon who conferred the Legion d'Honneur on the firm's director, Paul Utzshneider. 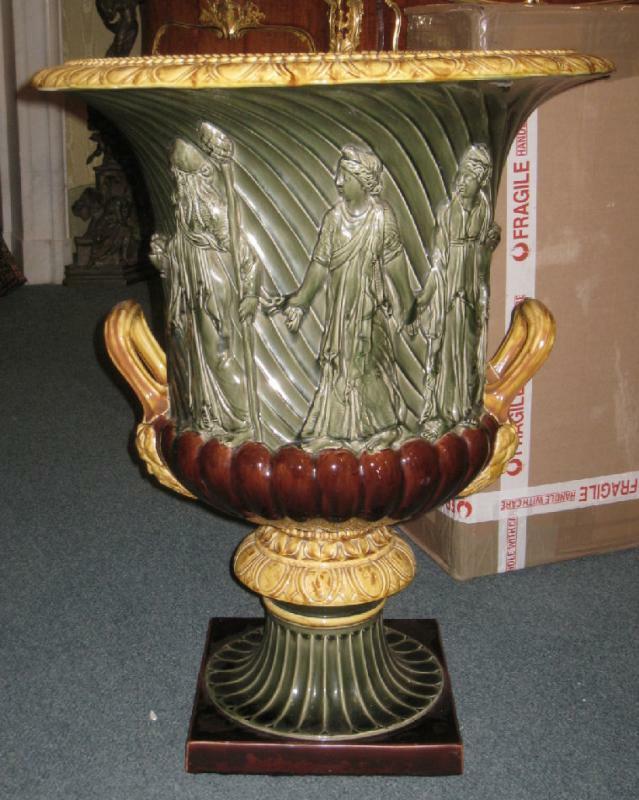 In the late 19th century their work was distinguished by relief decorations as exhibited by this fine urn. In the 20th century the firm moved to Digion, north of Lyon where it continued to produce decorative pottery well into the century. 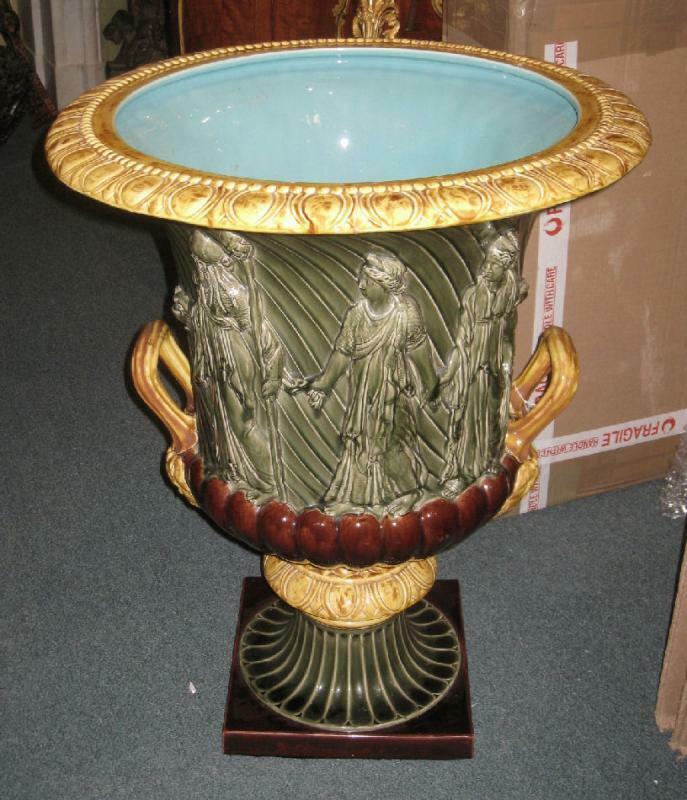 Items Similar To "Sarreguemines Majolica Campana Form Jardiniere After the Borghese..."